Home > > Drugs About Antibiotics. Term Antibiotic is derived from the two Greek words Anti (Against) and Biosis (life). Antibiotic is defined as the chemical compounds produced by a microorganism and are used to either inhibit the growth or to kill other microorganisms at very low concentrations. Antibiotics are used to control microbial infection in humans and animals. These infections include Tuberculosis, Typhoid, Tetanus, Whooping cough, Anthrax etc. These drugs are also used after Major surgery to control infection in the wound. These drugs are the most clinically prescribed drugs today. They are being used extensively for minor infections (like cold and fever) as well as major infections (like Tuberculosis etc). Thus we can say that antibiotics are the most crucial drugs available today. After World War-I outbreak of several diseases and war aftermaths took a heavy toll on human life and millions of lives could have been saved if any therapy/treatment would have been there at that time. Before antibiotics were discovered famous Canadian philosopher Dr. Morton Paterson suffered with infection due to slag. Due to lack of antibiotics at that time infection could not be controlled quickly and it resulted in Osteomyelitis. It took him about 18 months to get cured. In 1946 when Penicillin was available he again suffered with Osteomyelitis, but this time he used penicillin and was cured in few days which showed the impact of antibiotic at that time. World`s first antibiotic date back to 500 BC when moldy soybean was used to cure boils in China. In 1890`s Rudolf Emmerich and Oscar took first step in the field of Antibiotic treatment. They created Pyocyanase from bacteria called Bacillus pyocyaneus taken from infected bandages. But it was a failure as this drug cannot be used clinically because of its toxic nature. In 1908, Gelmo synthesized Sulfanilamide (1st sulfonamide antibiotic ever). Today Sulfanilamides are the biggest family of antibiotics having large number of derivatives. By 1945 Pharmacologists had 5488 derivatives of sulfanilamide (sulfonamides) family alone. This shows the growth rate of the field of antibiotic and its importance. In 1926 a revolution in the field of antibiotics came when Bacteriologist Dr. Alexander Fleming isolated Penicillin from a blue green mould, Penicillium notatum, while he was working at St. Mary`s Hospital at London. At that time during World War II it was called miracle drug because of their stunning record for safety and efficacy. In 1941 it was most clinically used drug which saved lives of thousands of soldiers and common people who became victim of World War II. But Penicillin could only be used clinically in 1940 when Edward Florey and Eenst Chain isolated active ingredient of Penicillium notatum and developed the powdered form of Penicillin. Today penicillin is obtained commercially from Penicillium crysogenum. That`s why penicillin is also called as the miracle drug. In 1935, G. Domagk introduced Prontosil (only active in vitro) but converted in the body to sulfanilamide moiety (active in vivo) which was secreted in the urine; it was an analog of vitamin para-aminobenzoic acid. In 1939, Rene Dubos isolated gramicidin and tyrocidin from Bacillus brevis; This antibiotic is active against gram positive bacteria mainly. In 1942 Procaine penicillin G was invented by Howard Florey and Ernst Chain which was at that time used for Pneumonia, Tetanus and Diphtheria. 1944/5 Selman Waksman Isolated streptomycin from Streptomyces griseus (soil microbes); It is active against some gram negatives bacteria and Mycobacterium tuberculosis. He then coined the term Antibiotic. Next breakthrough came in 1955 with the discovery of first broad spectrum antibiotic Tetracycline. Under Yellapragada Subbarao, Benjamin Duggar made his discovery of the world`s first tetracycline antibiotic, Aureomycin. In 1957 Nystatin was patented and used clinically to cure many disfiguring fungal infection. In 1960 Methicillin and Mitronidazole was introduced followed by Ampicillin, Streptomethoxazole and Trimethoprim in 1961. (1968),trinidazole(1971) Amoxicillin and Minocycline (1972), Cefoxitin (1978). Norfloxacin(1983) were discovered. In 1981 Smith Kline Beechan patented Amoxicillin or amoxicillin/clavulanate potassium tablets and first sold antibiotic in 1998 under trade name of Amoxicillin and Amoxin. Ampicillin/Sulbactum (1987), ciprofloxacin (1987), Rufloxacine (1992),Linezolid (2000), Daptomycine (2003), doripenem(2005) and Telavancin (2009) are some of important antibiotics of past few decade . On 1st February 2008 Parke-Devis announces discovery of antibiotic chloromycetin. During the past three and half decades, the number of new antibacterial drugs, for which Food and Drug Administration approval has been granted, has gone down. Between the year 1980 and 1989, twenty-nine such drugs were approved by FDA. The number of approved drugs fell to 23 in the 1990s and dropped further down to just nine between year 2000 and 2009. 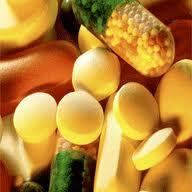 Just three of this decade`s new antibiotics are considered novel by the experts of infectious disease. Novel antibiotics are the drugs that overcome resistance, because they have a new target of action within bacterial cell or on host`s cell and no cross-resistance with other antibiotics of its own family or with some other family. But the ongoing tests on these drugs had shown that resistance has started to develop against some of these drugs as well. Even more terrifying thing to human race is that there are limited number of potentially new antibiotics in research and development. In the year 2009, 16 potential antibiotics were undergoing clinical development, but most of them were in the early phases of the development. For FDA approval new antibiotic takes eight years (average) to successfully pass three phases of clinical trials. Only 20% to 30% successfully pass these three phases of clinical trials.